Bodhidharma’s primary truth bewildered Emperor Wu. Vimalakirti’s teaching of nonduality made Manjusri's speech excessive. Is there anyone who goes into thorough realization or not? The monk went back to Mihu and told him about it. Mihu deeply agreed [wholeheartedly approved it]. A monk asked Jingzhao Mihu, "Do the eminent sages since antiquity arrive at the real truth?" The monk said, "If it's the real truth, how can it be arrived at?" Mihu said, "At the time when Huo Guang [Western Han politician, d. 68 BCE] sold a phony silver city and gave the receipt to the chief of a foreign tribe, whose doing was this?" The monk said, "I can only shut my mouth and say nothing." Mihu said, "On even ground you make people help out." He then sent the monk to ask Yangshan whether people these days need enlightenment. Jingzhao Mihu then sent the monk to ask Dongshan, "What do you have to say about that?" Dongshan said, "You have to turn around and ask him, then you can find out." Mihu also agreed with this. The second level divides enlightenment and rends delusion. Better to promptly let go and discard traps and snares. Quickly you should free your hands and relinquish net and trap. Merit, if not yet extinguished, becomes an extra appendage. It is as difficult to know wisdom as to bite one's navel. The waning moon's icy disk, autumn dew weeps. Benumbed birds, jeweled trees, dawn's breeze chills. Birds are cold in the jade tree, the dawn breeze is chill. Bringing it out, great Yangshan discerns true and false. Completely without flaw, the splendid jewel is priceless. When Mihu resided at Jingzhao, an old worthy asked him, "Nowadays if people see a piece of broken well rope in the light of the moon they say it's a snake. I'd like to know what you would call it if you saw a buddha?" 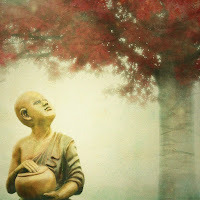 Mihu said, "If there's a buddha to be seen, it's not other than all beings." The old monk said, "A thousand years of peach pits." National Teacher Nanyang Huizhong asked an imperial attendant monk, "What does 'buddha' mean?" The monk said, "It meaning 'enlightened.'" The National Teacher said, "Has a buddha ever been deluded?" He said, "No, never deluded." The National Teacher said, "Then what's the use of enlightenment?" The imperial attendant monk had no reply. Even though Yangshan was right in speaking this way, still can he avoid falling himself? If he can avoid it, there's still one who very much disagrees. If he can't avoid it, he also falls into the secondary. Although Mihu approved it, did he himself have a way to emerge? People try to examine and see. If you can find it out, for both men the tiles crumble and the ice melts. If you can't find it out, don't be hasty now. Pointing out where the mountains end, he doesn't let him settle his body. How can that compare to the spiritual sprouts not invading spring? Fundamentally there is no delusion or enlightenment. We easily discern true and partial in the enlightenment of people today. These are traces of the self before the empty kalpa. In the intimate entrustment from west to east they fully meet. Don't try to seek enlightenment, and don't say enlightenment doesn't exist. 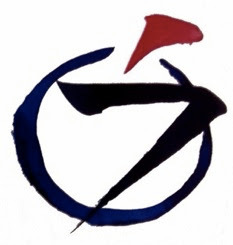 The theme of this koan is one of the most important themes in Zen: do not dwell in any fixed place. "How can one not fall down into the second level?" Don't hold onto anything. Just let go. If you say you're enlightened, you've already fallen into the second level since words can't reach it. If you say you're not enlightened, you've fallen into the second level because you deny the Buddha's teaching. Is there a first level? If you say there is, you fall into the second one. And if you avoid the question entirely, you also fall. You have some ideas about enlightenment, some kind of a notion, maybe it's not even fully formed -- but whatever it is, it's not this life, not this suffering, not this reality. It's something else. In order to achieve true peace of mind, is it necessary to borrow such a means as satori? And: Is there really such a thing as satori among people? How can it be helped that it falls into the secondary class? This could be seen as the main point in this koan. Even though we realize satori, concepts remain, which are known as the “form of satori.” Traces of satori are remaining. This is what is meant by “falling into the secondary class.” You remain sticking to that experience of satori. There are many gradations of satori when it comes to the clarity and intensity of that experience. When you reach the stage of returning to your original, unadorned self (moto no mokuami), even satori disappears, in the sense that there is no consciousness of being enlightened. When you stand, there is just standing. When you sit, there is just sitting. Enlightenment is not simply the absence of delusion, nor is it true that because there is enlightenment there is no delusion. Delusion does not become enlightenment. It is beginningless and endless. Enlightenment does not follow delusion. It is beginningless and endless. Thus, they are always manifesting in the present moment. There is delusion within enlightenment, as there is enlightenment within delusion. Enlightenment can only be realized within delusion; delusion can only be realized within enlightenment. With self and other forgotten, how can you even speak of them? Bringing them up in the first place makes them two. The nature of diamond wisdom is that it includes the whole universe. free of even a particle of dust. Even a bird flying high in full view would fail to find it. Would the moon still be reflected in that dewdrop? where the frogs have gone. As befits a house of the homeless.